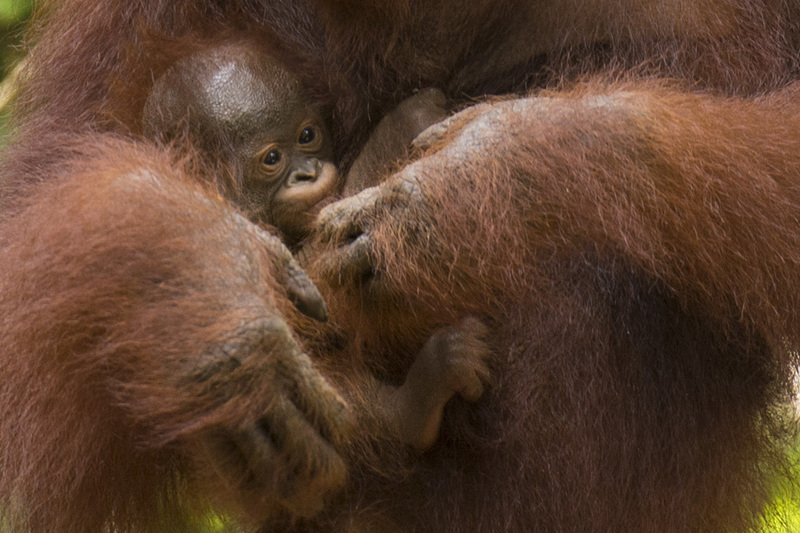 A few random photos of orangutan babies taken on my Borneo Orangutan fundraising holidays. 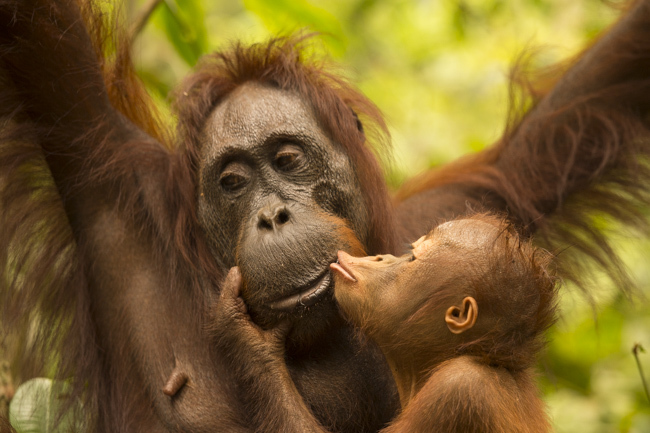 Orangutans are one of the animals that humans can relate to so if we can’t ensure a long term future for these peaceful vegetarians then I think there is little hope for the wider world. 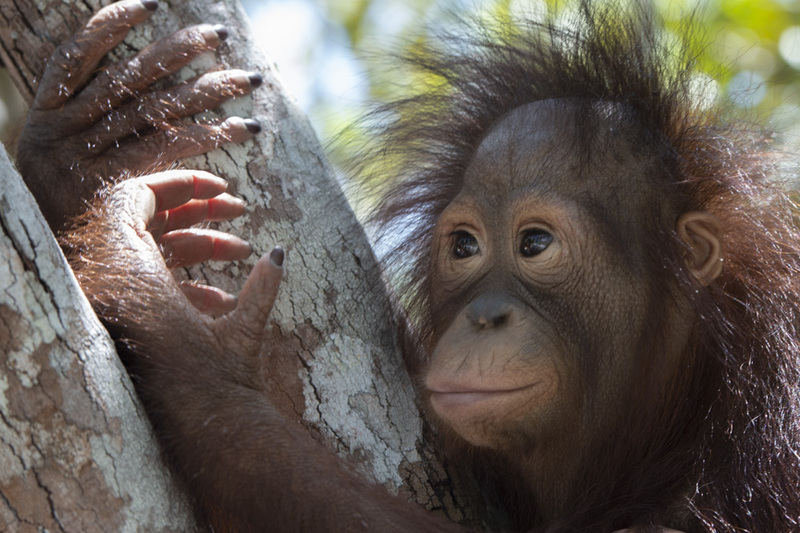 Although the overall picture is bleak in both Borneo and Sumatra with huge swathes of lowland forest already gone there are rays of hope. 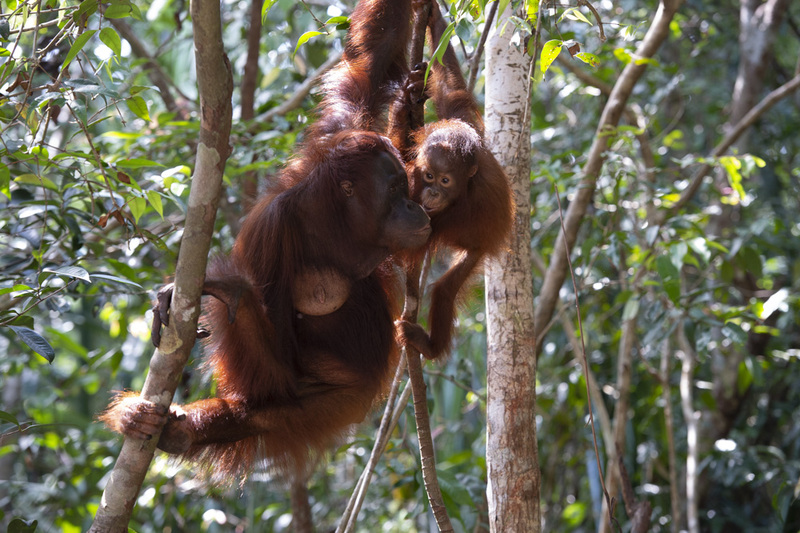 The Orangutan Foundation work on a number of projects including protecting Tanjung Puting National Park in Kalimantan where about 4000 wild orangutans and a huge array of other wildlife live. 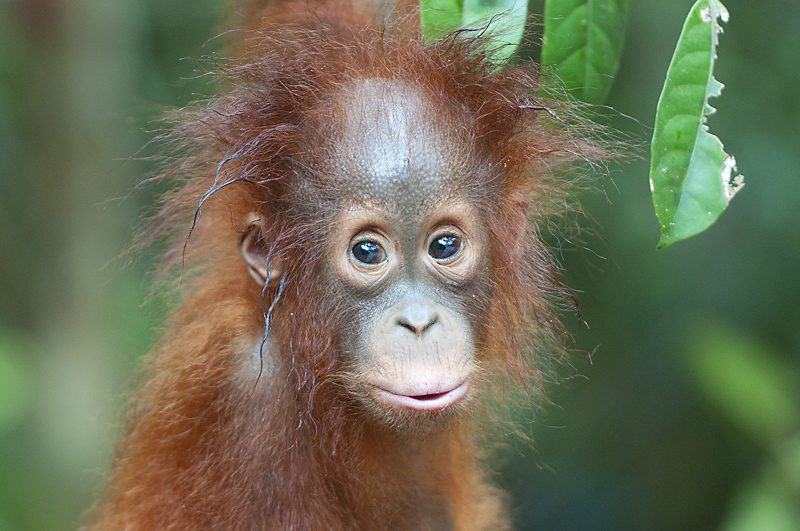 Over the last decade or so I’m proud that my orangutan tours have contributed tens of £1000’s to the conservation of this species. 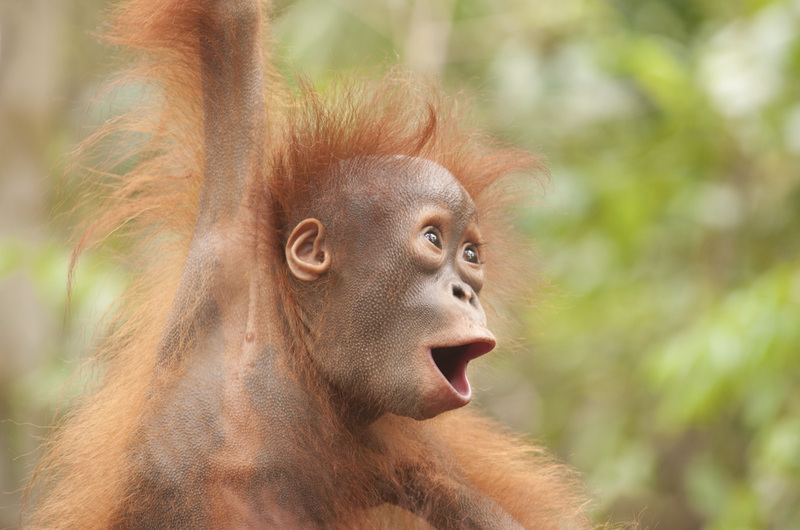 I love the utter joy of this orangutan baby playing in the forest where it belongs. 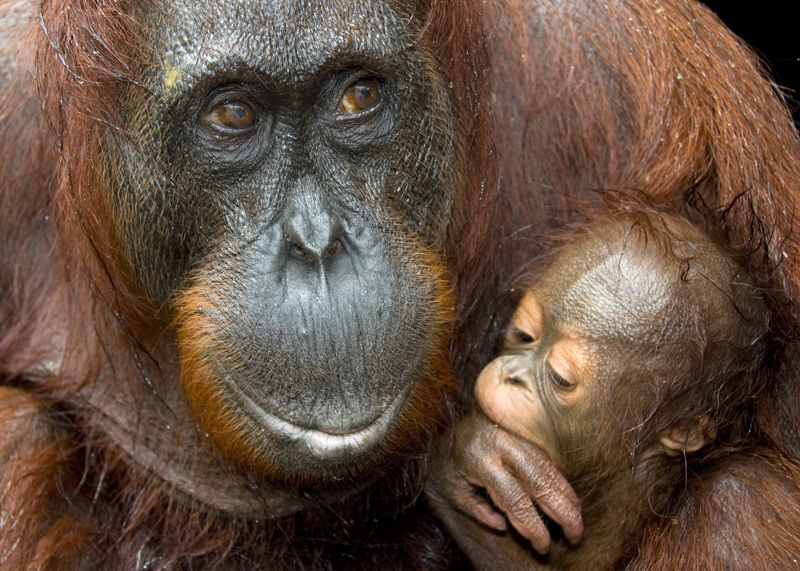 Orangutans are the best mothers in the natural world with their babies dependent on them for up to 8 years. 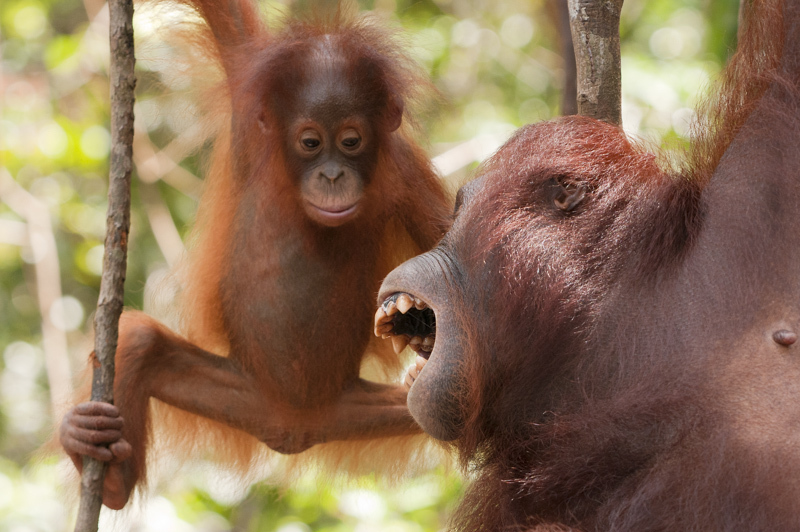 It is this long inter-birth rate which makes orangutans so vulnerable as depleted populations take so long to recover. 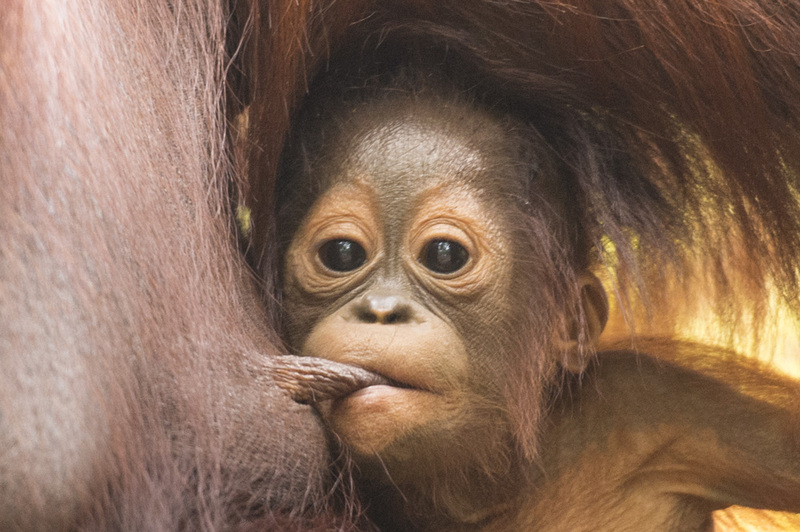 An orangutan baby I photographed after a downpour in the forest and used for the front cover of our new book The Orangutan’s World. 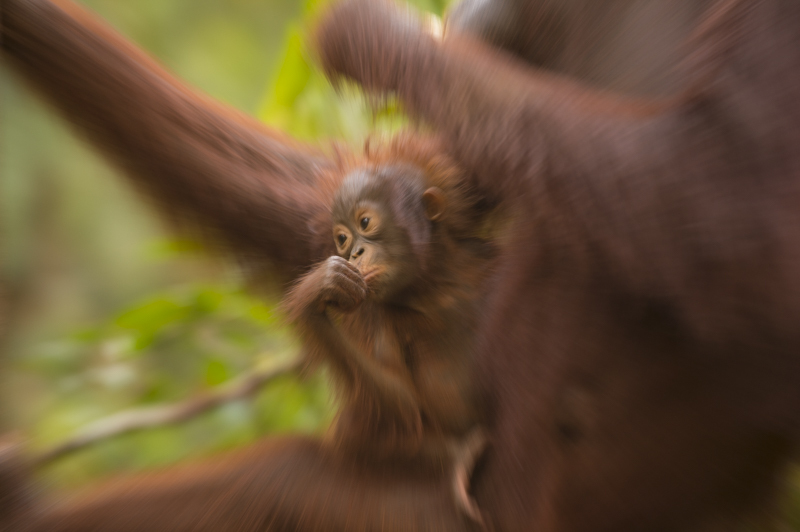 Mum and baby shot on a really slow shutter speed of just 1/11th second hand held with a 400mm lens. 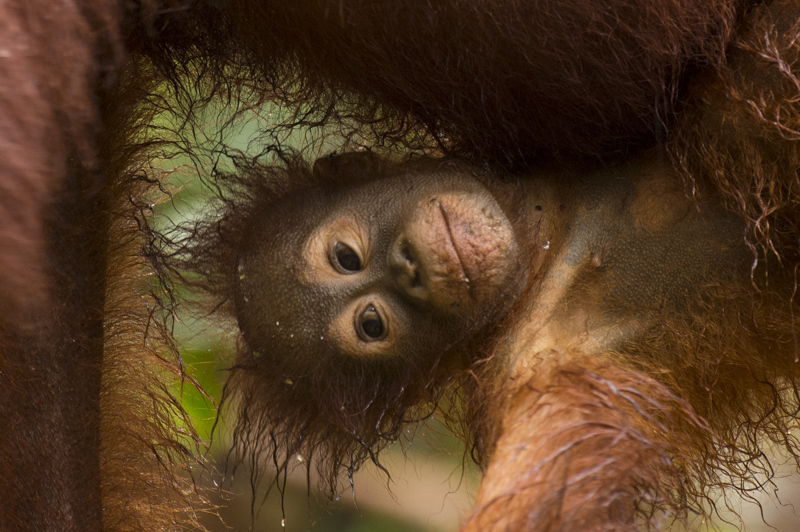 Orangutans are one of over 40 species featured in my book ‘Swimming with dolphins, Tracking gorillas’ which is a coffee table style paperback showing where and how to see the world’s iconic wildlife in the most ethical ways possible. 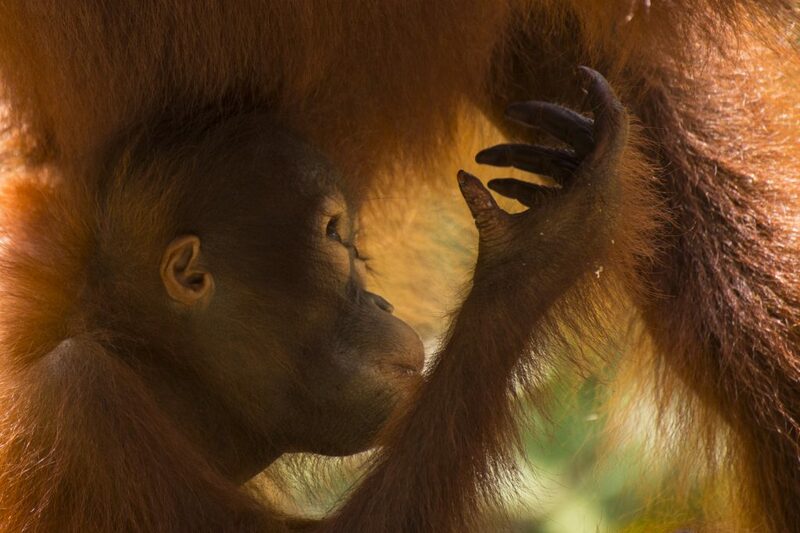 It’s illustrated with beautiful photography and has been getting some lovely reviews. 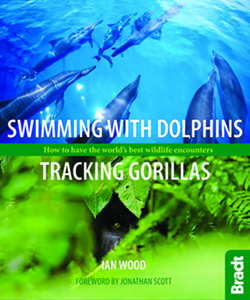 Available in all good book stores and on Amazon UK here.